a small bar of chocolate for covering. Mix all the ingredients together and knead well. Place in the ‘fridge for half an hour and then roll out onto baking paper to about 1/4 inch thick and slide the paper onto a baking sheet. Prick the shortbread all over with a fork and cook for about 20 minutes checking after 15 minutes that it is not too brown. If it is too dark cover with aluminum foil for the remaining cooking time. Cut the shortbread into strips while still hot and leave to cool. 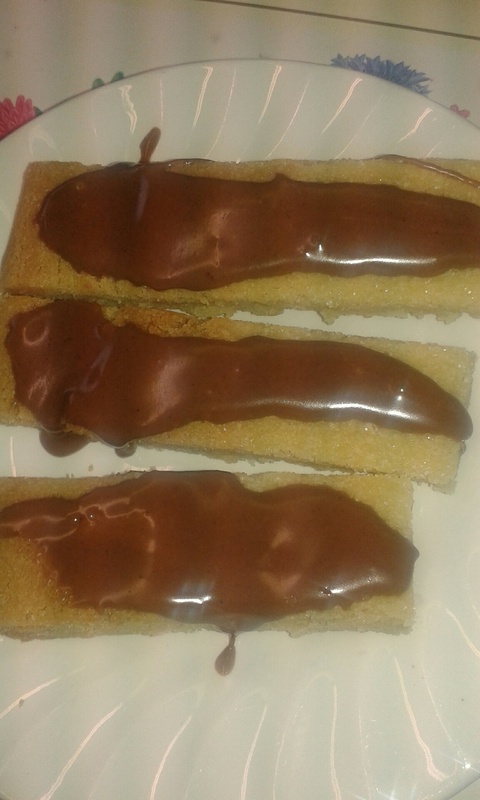 Once cool, melt any chocolate that you have not already eaten in the microwave and spread on top of the individual strips of shortbread, leaving some uncovered so you can taste the difference between the two. Enjoy with a cup of Assam or Earl Grey Cream. New Recipe – Pasty Cordon Bleu!